Though life is enjoyable in Harrisburg, Allentown, Bethlehem, or Hazelton, you sometimes want to escape somewhere else, whether that be for a vacation or just for the weekend. 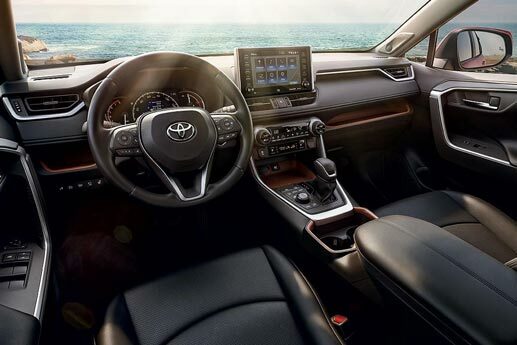 As a crossover SUV, the 2019 Toyota RAV4 provides that ability to you with comfort and style. What kind of gas mileage does the 2019 RAV4 get? The 2019 Toyota RAV4 takes you everywhere with its 2.5-liter 4-cylinder that uses Dual Variable Valve Timing with intelligence and Dual Overhead Cams to generate 203 horsepower and 184 lb.-ft. of torque. The EPA-estimated fuel economy allows the vehicle to get up to 35 MPG on the highways around Harrisburg and 26 MPG in the city using the 8-speed Electronically Controlled automatic Transmission with intelligence. Electronic On-Demand All-Wheel Drive with intelligence adds more torque to the rear wheels when you need more traction on uncertain surfaces. How much space does the interior of the Toyota RAV4 have? Does the 2019 Toyota RAV4 comes with Toyota Safety Sense? The 2019 RAV4 comes with the standard high tech innovation, Toyota Safety Sense™ 2.0, which includes the Lane Departure Alert with Steering Assist for preventing you from accidentally drifting off across traffic lanes , Pre-Collision System with Pedestrian Detection for warning you when you're about the hit something or someone, Dynamic Radar Cruise Control so you remain at a safe distance from the vehicle in front of you, and Automatic High Beams that lower the power of your high beams when oncoming traffic is approaching. What are the available trim levels of the 2019 RAV4? The 2019 Toyota RAV4 has five different standard trim levels, plus hybrid trims. LE - Soft-touch interior accents pamper all passengers in this trim. You'll pull into reverse more safely with the integrated backup camera that shows what's behind you on the Entune™ Audio display. XLE - You and your front passengers get separate comfort levels with the Dual-Zone Automatic Climate Control. Integrated into the front bumper are fog lights that cut through less-than-perfect weather. XLE Premium - Available AWD grants you more aggressive handling on any surface. Blind Spot Monitor is standard at this trim. Adventure - Power-customize your SofTex®-upholstered seating position in up to 8 ways and store the settings in memory. Your ride also gets an upgrade with a 6-month trial of on-the-go Wi-Fi by Verizon. Limited - Tight maneuvers become easier with the Bird's Eye View Camera that reveals a virtual overhead 360-degree view when you're in Drive or Reverse. Enjoy warmth on cold days from the heated steering wheel, plus heated and ventilated front seats. 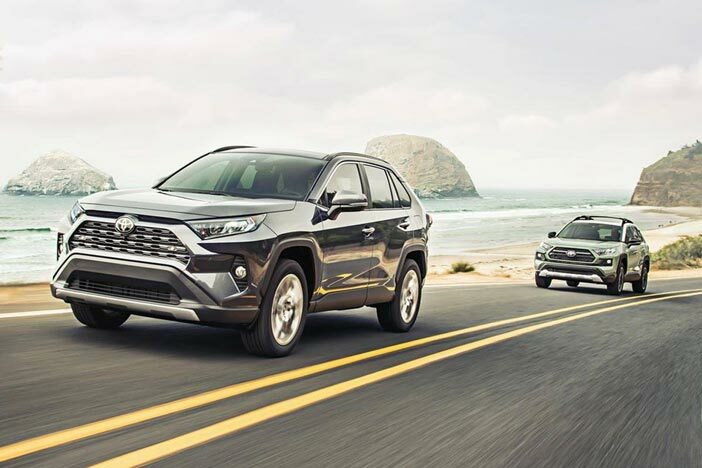 Come down to Freedom Toyota of Harrisburg today to meet our team and take a test drive and figure out which of the available 2019 Toyota RAV4 trim levels is the right fit for you and your family.